Navigator Platinum printing paper is designed for superior color copies with an enhanced surface and smooth finish. Compatible with laser and inkjet printers, multifunction printers, fax machines, and copiers. 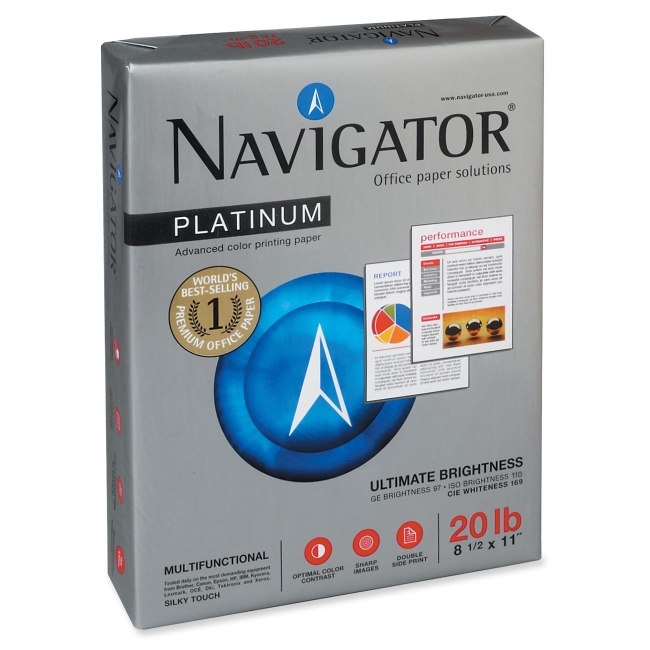 Paper delivers a crisp image with optimal color contrast and jam-free operation. Elementary chlorine-free paper is 80 percent made from natural, renewable resources. 20 lb.